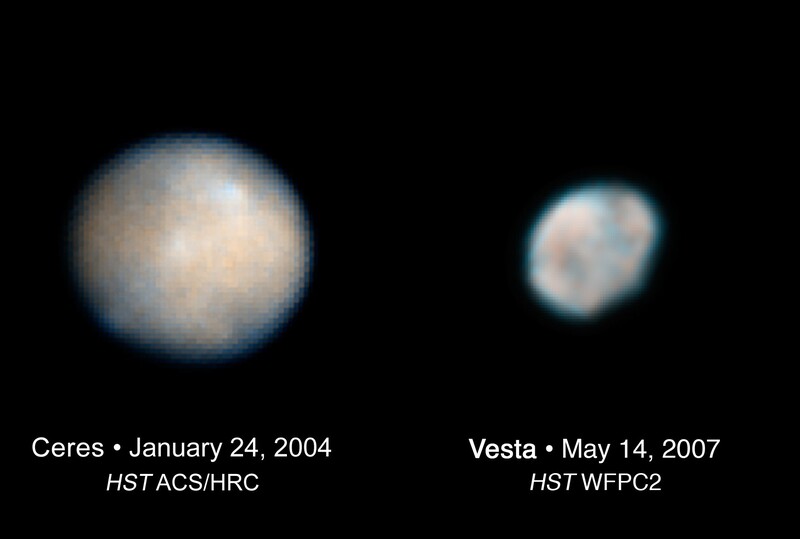 Explanation: Ceres and Vesta are, respectively, only around 950 kilometers and 530 kilometers in diameter - about the size of Texas and Arizona. But they are two of the largest of over 100,000 minor bodies orbiting in the main asteroid belt between Mars and Jupiter. These remarkably detailed Hubble Space Telescope images show brightness and color variations across the surface of the two small worlds. The variations could represent large scale surface features or areas of different compositon. 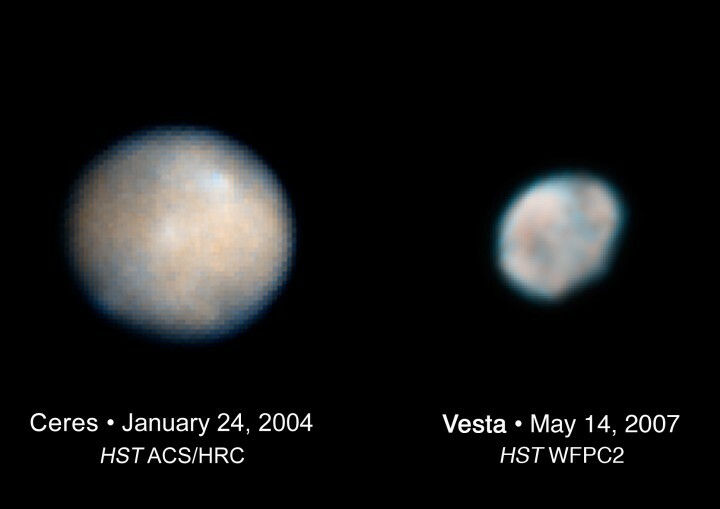 The Hubble image data will help astronomers plan for a visit by the asteroid-hopping Dawn spacecraft, scheduled for launch on July 7 and intended to orbit first Vesta and then Ceres after a four year interplanetary cruise. Though Shakespeare might not have been impressed, nomenclature introduced by the International Astronomical Union in 2006 classifies nearly spherical Ceres as a dwarf planet.